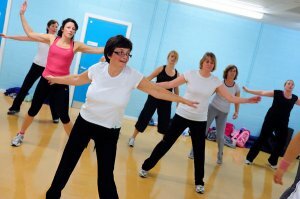 Active Derbyshire | Register your club or activity - for free! Home » Get Active » Register your club or activity - for free! Register your Derbyshire club, organisation or activity so that it can be found by others. 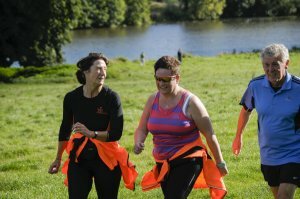 Are you a coach, instructor or event organiser running regular or one-off activities, classes or events in and around Derbyshire? Do you run a local club or organisation? Or do you organise runs and races in and around the county? First register your profile below and then you can post your club or organisation details and get your sessions noticed - plus it's free! Please note that information supplied will go through an approval process before being put live on the website. • Be part of an online, searchable listing of your activity on Derbyshire's biggest local sport and physical activity search engine. • Get your own webpage for activities. Register your classes, events, runs or sessions and you'll get a unique web page that you can share online via email and social media. • 4,000+ members of Active Derbyshire and JOG Derbyshire. Thousands of people read our regular Derbyshire Sport, Active Derbyshire and Jog Derbyshire e-newsletter with inspiring stories and expert advice. • More than 1,700 Facebook likes on Active Derbyshire, Jog Derbyshire and Derbyshire Sport and more than 7,500 Twitter followers. Jogging is a popular pursuit. We'd love to feature you on our news pages. Do you have a great story to tell about someone in Derbyshire that you've helped to get fitter? Let us know and we might also be able to feature them in our Active Derbyshire Inspire me and Jog Derbyshire Inspire me sections on the website. Tell us why you think your sport or activity is a great way to have fun and get fit and we might be able to feature you in the Active Derbyshire Inspire Me and Jog Derbyshire Inspire Me sections of our website. Contact nikki.sargeson@derbyshire.gov.uk for more details.